Standing outside the Center for Sciences, the aspiring nursing student pauses to take a deep breath before stepping inside to start her new life. Pierce freshman Stephanie Hernandez strode into the pristine hospital-like environment like there was no turning back. Hoping to create a better life for herself Hernandez took the advice of her cousin and started the first of many steps on the road to becoming a nurse. 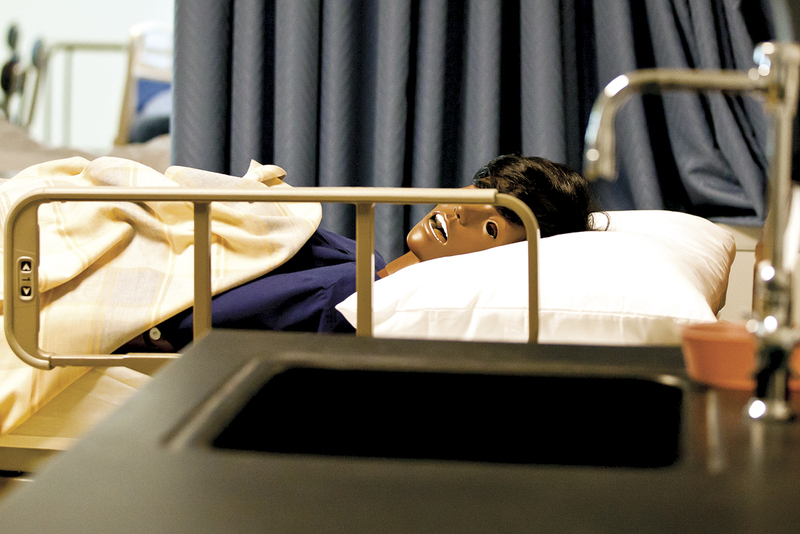 Pierce College offers a number of different programs and certificates besides general education classes and one of the most popular ones is the nursing program. Students who want to be in this program have to complete a number of science prerequisite courses in physiology, microbiology, chemistry, anatomy and psychology in order to qualify. “To be successful in this program you have to be really dedicated,” said Steven Holden, president of the first semester nursing program students. Students in the program learn about pharmacology, geriatric health, psychiatric health, maternal and newborn care, pediatric health and hands-on training in clinics and hospitals. The program takes a lot of discipline and reading and the preparation that the aspiring nurses go through is quite significant, according to students. Teresa Siova, 23, waited for two and half years before she got into the program. Claudia O’brien, 43, got her associate’s degree in liberal arts in 2005, but came back to school again for this program because it was her dream from childhood. Previous articleWhy so much money? Next articleShould Students Return the Favor?